S.C.R.U.B. 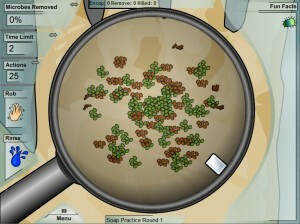 (Super Covert Removal of Unwanted Bacteria), is a project to develop adaptive mini-games for pedagogical purposes. Adaption within these games is achieved by combining a user’s game playing preferences with the learning style with which they learn best. 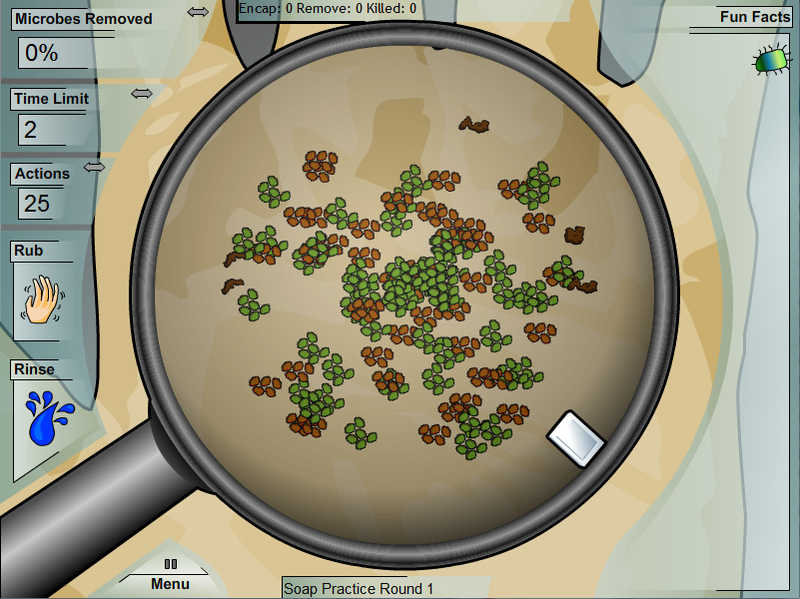 Our mini-games currently focus on the areas of proper hygiene and understanding microbe transmission and evolution. Beyond these specific topics this project is looking for common design elements and strategies in order to apply these practices to other serious games.